Jadavpur University has shot itself in the foot and the authorities have flunked the entrance exam. This is quite the most charitable construct that can be placed upon last Wednesday’s decision to scrap the admission test for as many as six subjects in the humanities stream. Helmed by an Oxford-trained historian, it strains credulity that the university has wriggled out of a difficult situation by opting for the easy way out. In the net, the authorities of a centre of excellence have genuflected at the altar of the education minister, Partha Chatterjee, who has consistently been averse to admission tests, and would rather that the board exam results be the singular benchmark. The timeline of developments over the past week reaffirms the prevarication of the Executive Council and its tendency to play yo-yo at the cost of students’ prospects. Having recently suffered yet another gherao ~ this time for 44 hours ~ Vice-Chancellor Suranjan Das was perfectly rational when he announced a 50:50 ratio (admission test and board exam) as the criterion for undergraduate admission. That the agitprop was resumed (if now withdrawn) in the aftermath of the swing back only confirms that the students are intent on pursuing this extra-curricular activity. Alas, the decision on equal weightage was followed by a decidedly vacuous move ~ to involve external examiners in the admission process with a parallel set of questions. It beggars belief that the authorities failed to realise that this was an affront to the university’s teachers, almost a calculated attempt to undermine the hallowed campus. It is hard not to wonder if the traditional praxis of questions being set by the departmental teachers was held at a discount. Both the students and the candidates seeking admission have a right to know the provocation for this unexplained flip-flop, to the detriment of learning. By unabashedly enacting this fiasco, the veterans have failed the generation just out of school. Not to put too fine a point on it, the fiasco has been a collective disgrace for those who take decisions at JU, not to be confused with the dedicated teaching fraternity. 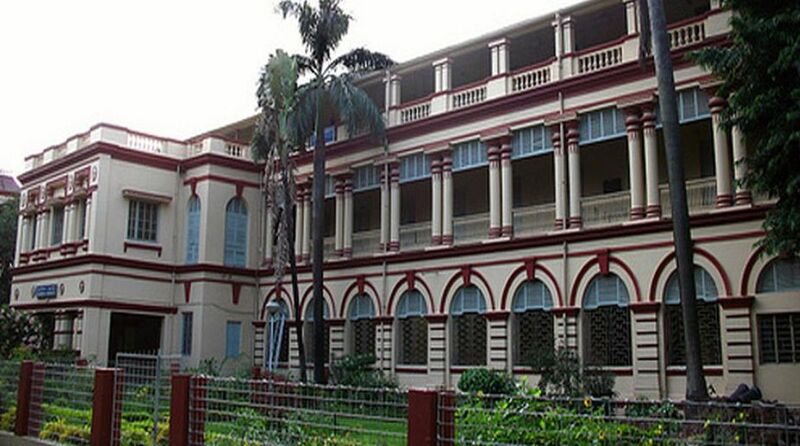 Markedly, the decision to drop the entrance test was announced after the Jadavpur University Teachers Association (JUTA) had its dander up, preeminently the distinguished teachers of the English department. In point of fact, the Executive Council has played to the government’s gallery and in a university distinguished for its excellence and fairly autonomous functioning.